The ore-ground. The CEW to the right (Central Engineering Workshops) and the gasometer ahead, with the Burmah road and Berry Street in the background. 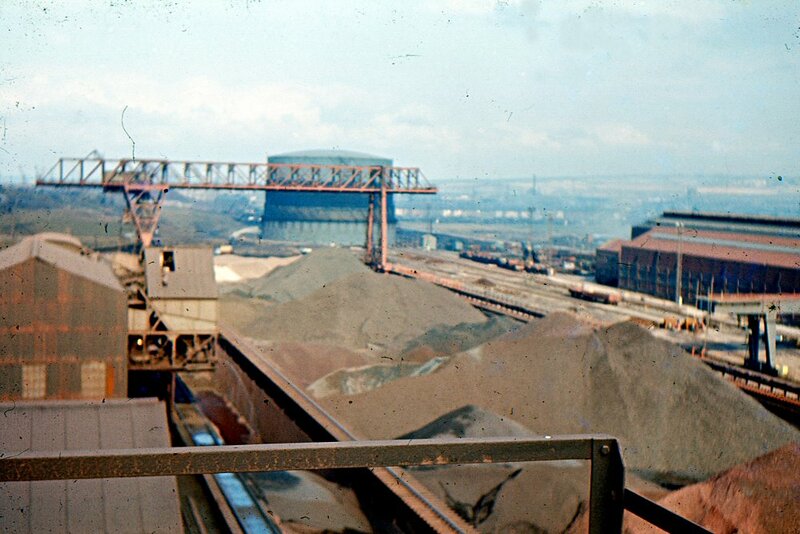 This pic was taken before FoCUS: 'Fusion of Ore and Coke to Usable Sinter'. Better known, perhaps, as the Sinter Plant.